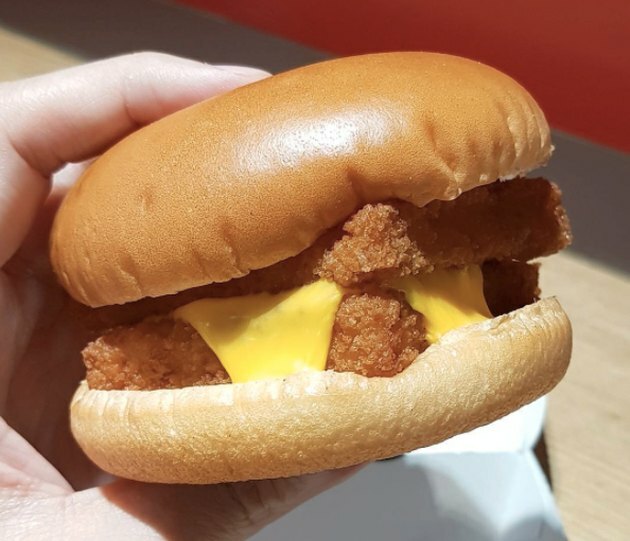 When it comes to fast-food cheat meals, McDonald’s Filet-O-Fish has been a popular meat-free choice for more than six decades. But what’s really in it? And is it really that bad for you? Let’s take a look. Here’s a peek at the nutrition label: 410 calories, 20 grams of fat, five grams of saturated fat, 0 grams of trans fats, 660 milligrams of sodium, 39 grams of carbohydrates, two grams of dietary fiber, five grams of sugar, 18 grams of protein. And the listed ingredients: There’s a whopping 71 of them — a whole lot more than we can list here. A few highlights: Potentially not-so-sustainable pollock, hydrogenated soybean oil (linked to heart disease, stroke and diabetes), cellulose gum (aka wood pulp) and “color added” (some artificial colorings have been linked to hyperactivity in kids and cancer in animals). 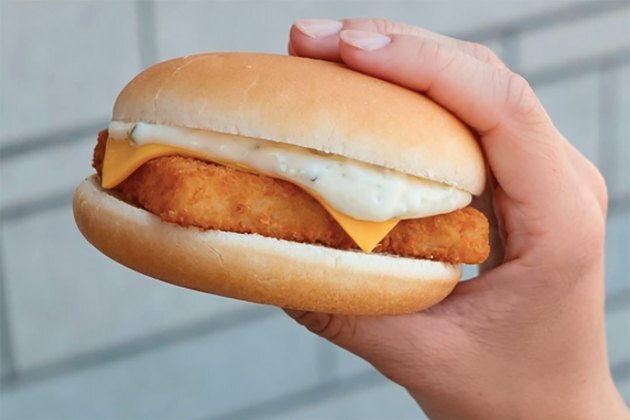 The filet-o-fish is truly a staple in the Catholic community during Lent. 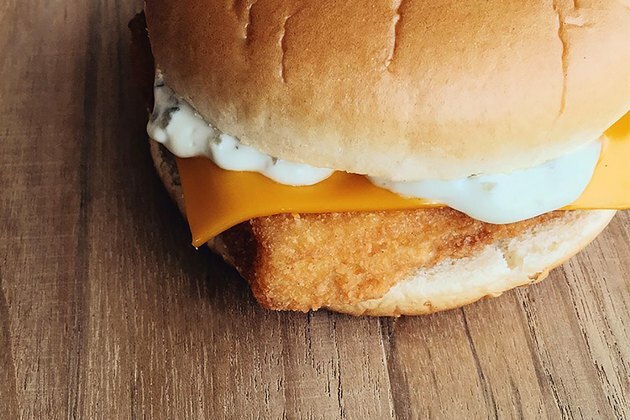 Invented way back in the early 1960s as a meatless option for Catholics on Fridays, the Filet-O-Fish has been a longtime staple of the McDonald’s menu. But just because it’s been around forever and doesn’t have red meat doesn’t mean it’s good for you. 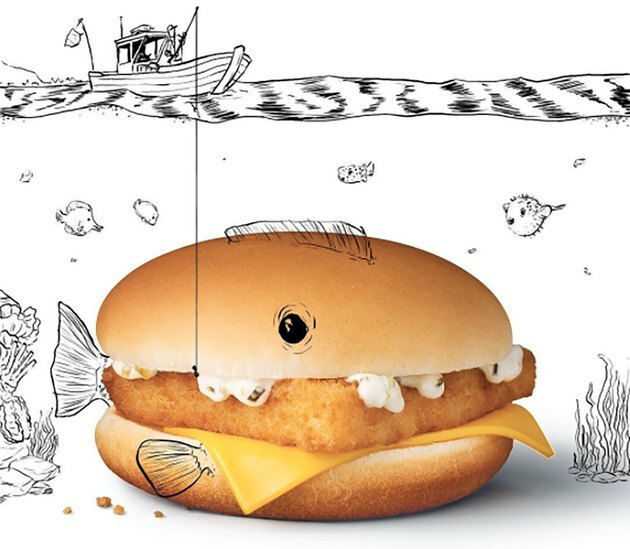 Hidden Trans Fat: Listed in the fish patty as part of the magic ingredient combo that makes the crispy crust, hydrogenated oil “is a processed way of altering oil so it can stay on the shelf for longer, and it creates a mouthfeel people like,” says nutritionist Jennifer O’Donnell-Giles, RD. “That’s my first red flag as an ingredient. It can be worse for you and hurt your heart health more than saturated fats.” Hydrogenated oils are a type of trans fat that ups your bad cholesterol and have been shown to cause inflammation that has been linked to heart disease, stroke and diabetes. While the label lists trans fats at 0 grams, the FDA rules say you don’t have to list trans fats with less than 0.5 grams per serving on the label — and most experts agree that you should avoid even a little bit of trans fats at all costs. Modified food starch: To ensure a super-crisp crust that locks in the moisture and fish flavor, the chain “puts a formulation around the fish that consists of flour, starch and some modifiers like cellulose gum and dextrose,” says Paul Takhistov, Ph.D., associate professor of food engineering at the Department of Food Science at Rutgers University. “When you put the fish in the oil, the crust should solidify almost immediately, otherwise the oil will be absorbed by the fish itself.” But while these ingredients might not be harmful, they raise a question with some nutritionists. “You’re altering something that’s natural for a reason other than for our health, which always puts a question mark in my head,” says O’Donnell-Giles. Sugar: “This one popped out at me in the coating of the fish filet. It seems odd — sugar and fish just don’t pair well,” says O’Donnell-Giles. “I’m not sure why they add it except because people enjoy sugar.” Pretty much every nutritionist these days will tell you to cut back on sugar wherever you can, since it simply adds unnecessary calories, and too much of it can cause blood sugar spikes and drops that mess with your insulin and appetite. Added sugar in your fish is a pretty good place to cut back — as is the sugar added to the tartar sauce and the bread, notes O’Donnell-Giles. Of course, you should take a vitamin supplement if your doctor tells you you’re deficient. “But when you take out natural vitamins and nutrients and add them back in when you don’t need to, that’s where the problem arises,” says O’Donnell-Giles. “While they’re technically adding back the same amounts, our bodies don’t absorb synthetic versions as well as natural ones in food.” What’s more, because vitamins aren’t regulated by the FDA, we have no way of knowing how much is actually in the food. “When people do test pills or foods, the amount is almost always much less than what’s listed on the label” says O’Donnell-Giles. Lastly, manufacturers don’t add back everything in the wheat that’s lost during processing: phytochemicals — a type of antioxidant found in plant-based foods like whole grains — are anti-inflammatory and may reduce the risk of Type 2 diabetes, cardiovascular disease and some cancers. While they’re naturally occurring in plants, we haven’t learned how to produce a synthetic version, says O’Donnell-Giles. “They simply can’t be reproduced once they’re stripped away,” she says. Color Added: This nebulous ingredient listed in the cheese gives it that all-American yellow color. Like all the ingredients in the Filet-O-Fish, food dye has gotten the FDA’s stamp of approval as “generally recognized as safe,” or GRAS. However, some research has linked synthetic dyes to hyperactivity and behavior problems in kids, while other studies in animals have linked them to cancer, says O’Donnell-Giles — although those links are still being studied. DATEM: A “dough conditioner” used in the bun, this emulsifier makes bread spongy. No research has shown that DATEM, or diacetyl tartaric acid ester of mono- and diglycerides, is unsafe. However, another dough conditioner, azodicarbonamide, was phased out from Subway’s breads in 2014 after a blogger pointed out that it’s been linked to asthma in people and shown in animal studies to break down into a chemical that causes cancer. While there may be no known issues with DATEM, is having fluffy bread really worth having even the hint of risk? A Deceiving Number of Calories and Fat, With Little Fiber: Sure, 410 calories for one sandwich is just fine for a meal. But the problem is that most people probably aren’t just eating one Filet-O-Fish for lunch. “For a teeny sandwich, that’s a lot of calories. My guess is that most people usually have two,” says O’Donnell-Giles. What’s more, that itsy-bitsy sandwich packs in 20 grams of fat. “For a small person, that’s nearly half of what you need in a day,” Giles says. Plus, that fat is coming from not-so-healthy sources in the coating, tartar sauce and cheese. What’s more, the Filet-O-Fish only has 1.9 grams of fiber, which helps stabilize blood sugar and keeps you feeling more full. “That’s really low. I recommend having a salad with this to boost your fiber intake,” says Giles. Takhistov and O’Donnell-Giles agree that, at around 18 grams per serving, the Filet-O-Fish is a very good source of protein. Most of that protein comes from the fish — Atlantic pollock, which O’Donnell-Giles says does have some heart-healthy omega-3 fatty acids. McDonald’s also allegedly takes an important step to help prevent overfishing. 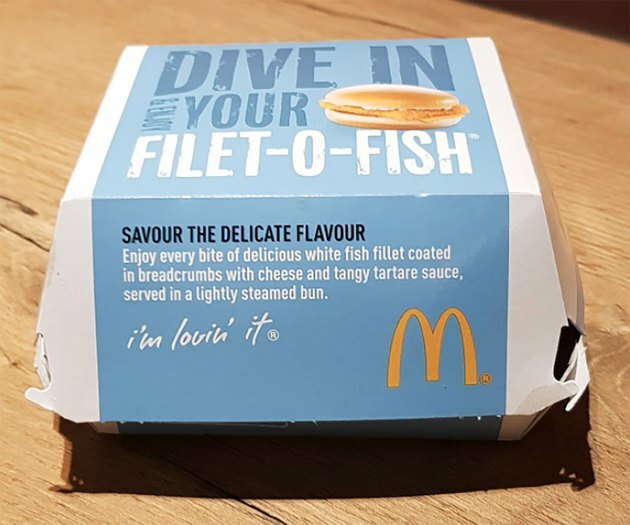 “McDonald’s has sourced this fish back to where the fisheries are. They really did take the initiative to seek out responsible fisheries as part of the Sustainable Fisheries Act,” says O’Donnell-Giles. However, outlets like Slate and the Huffington Post have a less positive outlook on the eco-friendliness of the fish being used. Another potential positive: 35 grams of carbs isn’t bad, O’Donnell-Giles says. And parsley and egg yolks in the tartar sauce are nice additions. “Egg yolk is a natural thickener, so it’s great that’s in there. And parsley is good for you. But we don’t know how much is in there,” she says. Takhistov adds that the sandwich doesn’t contain suspicious ingredients that wouldn’t be approved by FDA. “I can’t see any potential issue that would make it different from any fried product, like chicken nuggets,” he says. As with virtually every fast-food sandwich, the Filet-O-Fish isn’t going to kill you if you eat it once in a while, but it’s not something you should devour on the regular. “If you eat this product three times per day and don’t diversify your diet, of course this isn’t healthy,” says Takhistov. That means if it’s your go-to fast food, go ahead and treat yourself once or twice a month. Just keep in mind that you’re always better off opting for meals consisting mostly of fresh whole foods, including veggies, fruits, lean protein and whole grains. “Less-processed foods and fewer preservatives in your everyday intake is better for your overall health,” says O’Donnell-Giles. Xanthan gum: Used in the sauce, cheese and fish patty, this thickener is commonly used in yogurt and pudding because it forms a gel structure with milk proteins, explains Takhistov, to create a creamy mouthfeel. Cellulose gum: Made from wood pulp, this additive in the fish patty is another thickener that helps give the crust its crunchiness. While it’s technically safe to eat, it’s also a laxative, which means in high-enough quantities it could give you an upset stomach. Potassium sorbate: This “stabilizer” in the tartar sauce prevents the separation of oil and water-based ingredients, explains Takhistov. Calcium propionate: A preservative in the bread that keeps it from going moldy if it stays on shelves a few weeks before being served. Lactic acid and acetic acid: These preservatives keep the cheese from going moldy. “Real cheese like feta goes bad pretty fast. American cheese isn’t real cheese,” says O’Donnell-Giles. Soy lecithin: An additive in the cheese, this helps oil and water mix to give food products a uniform appearance. Do you eat at McDonald’s or other fast-food restaurants? What do you order? What fast-food items would you like us to investigate? Let us know in the comments! Almost 500 Foods Contain The 'Yoga Mat' Compound. Should We Care? What's Really Inside Taco Bell's Crunchy Beef Taco?